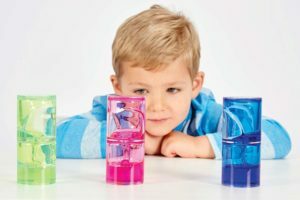 When looking for the best sensory toys for autism, it is important to consider your child’s individual needs. Depending on their age, interests and developmental stage, there are plenty of fabulous toys for autistic children to choose from. 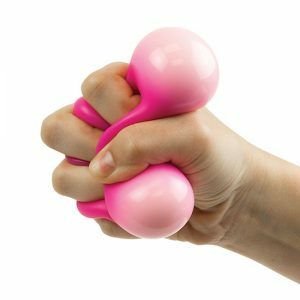 In this blogpost, we will be discussing sensory and fidget toys that provide stimulation for the senses. They can help to improve concentration and may help your child to feel calm when in a distracting or stressful environment. Just looking at a picture of these colourful sensory fluids is calming! 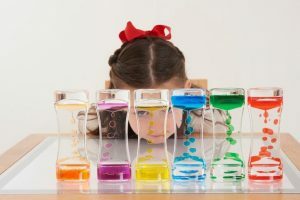 Sensory liquids are captivating toys for autistic children and can encourage quiet focusing. Not only this, but sensory liquids also encourage children to develop observational skills and understand scientific concepts. Choose from gloopy jelly, spiral staircases and cascading bubbles. Children may also benefit from these perception semispheres; they can be used for reading, sensory play and looking at surrounding objects. For children with autism who seek auditory stimulation, sound banks are a brilliant resource. Children who struggle to retain sentences in their memory may find them to be a useful resource at school when writing down information. 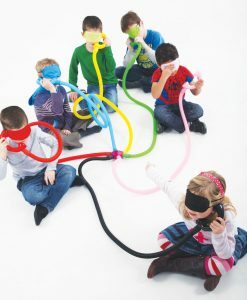 Alternatively, they can be a fun example of sensory toys for autism that help children to explore the sound of their own and other’s voices, studying the use of intonation and volume to help develop communication and listening skills. 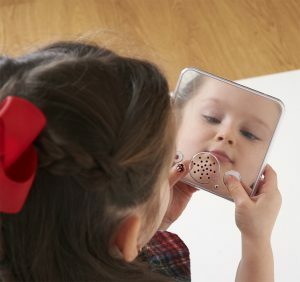 Why not take a look at this mirrored sound bank, ideal for children to study facial expressions whilst recording their voice, or this write and wipe sound bank that children can draw on. Fidget toys have grown in popularity the past few years! They can be extremely helpful toys for autistic children who seek greater sensory input from their environment. 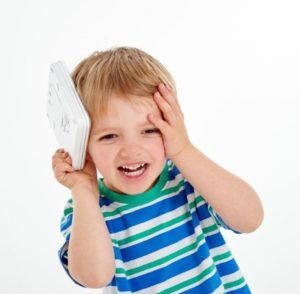 They can help to improve children’s concentration by filtering out distractions around them. We have a range of sensory toys for autism for fidgety fingers. 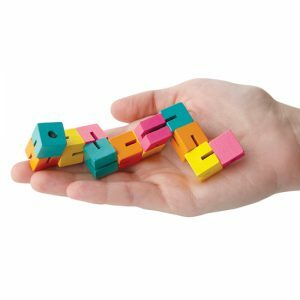 Fiddlejig builds tactile perception, as children can work the colourful, articulated wooden cubes into a variety of shapes. Additionally, pencil pushers attach to the top of pencils and encourage fine motor skills, making them an excellent classroom addition. 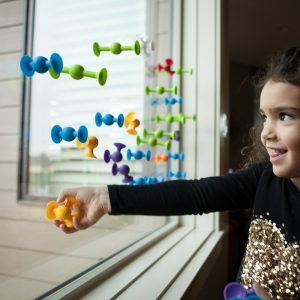 Moreover, Squigz attach to windows, tabletops and bathtubs and inspire creativity, whilst simultaneously providing sensory stimulation. 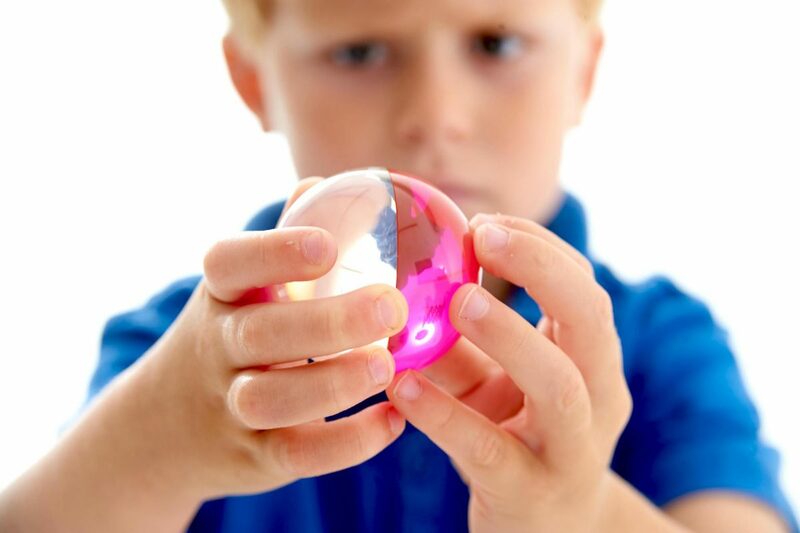 Sensory balls make fabulous toys for autistic children and can be used in a variety of ways. 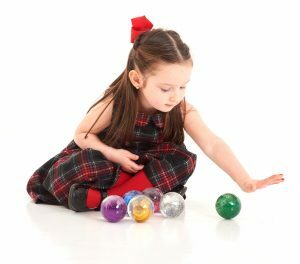 Glitter balls provide sensory stimulation and can therefore be a relaxing resource for kids with autism. With their fascinating rainbow colours, they can help concentration both at home or at school. Alternatively, these soft velvet balls made from biodegradable rubber combine sensory stimulation with sustainability. Children can use them as a stress reliever or develop hand-eye coordination with a game of throw and catch. Similarly, this Squooz ball can act as a stress ball for children when they feel anxious, as well as providing visual stimulation. Children with autism may benefit from sensory toys that help them to regulate behaviour. 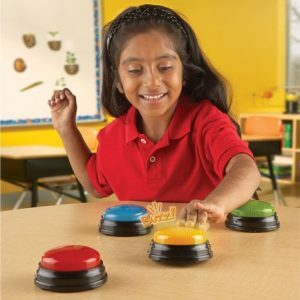 These colourful buzzers are not only stimulating for sight and sound, but may also be helpful for children to represent how they are feeling or to improve response time with games. 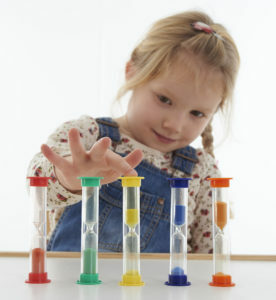 Equally, sand timers are great sensory toys for autism. 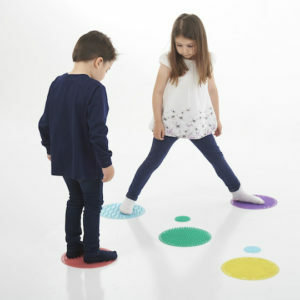 They are a calm way for children to time themselves, whether this is for a sensory timeout break or to help keep on track in lessons with tasks. There are plenty of timers to choose from, with varying times, colours and sizes. For example, check out this set of mini timers or large individual timers. Sensory toys for autism also include enjoyable and engaging games! Sensory circles composed of different textures can be stepped on to feel the different patterns, or can improve balance if made into a path to walk across. For auditory stimulation, Who’s Speaking, Who’s Listening can help children with autism to develop their listening and communication skills.